An automation tool with capabilities for all technologies and for everyone on your team: Technical testers, non-developers, and management alike. 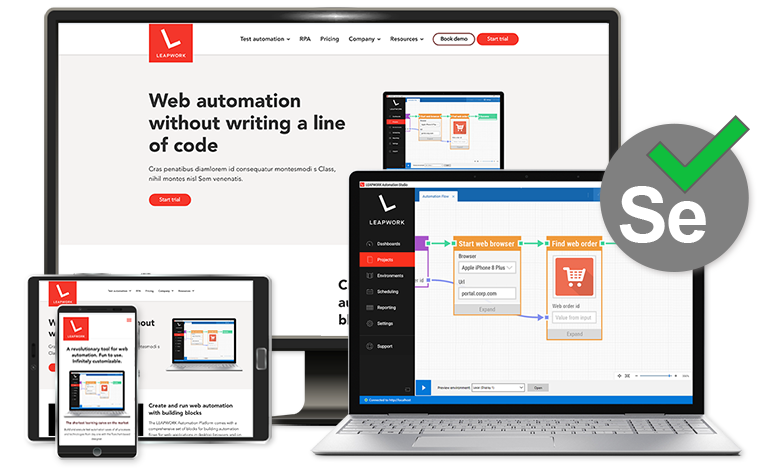 An automation tool for any web and desktop application regardless of technology behind. 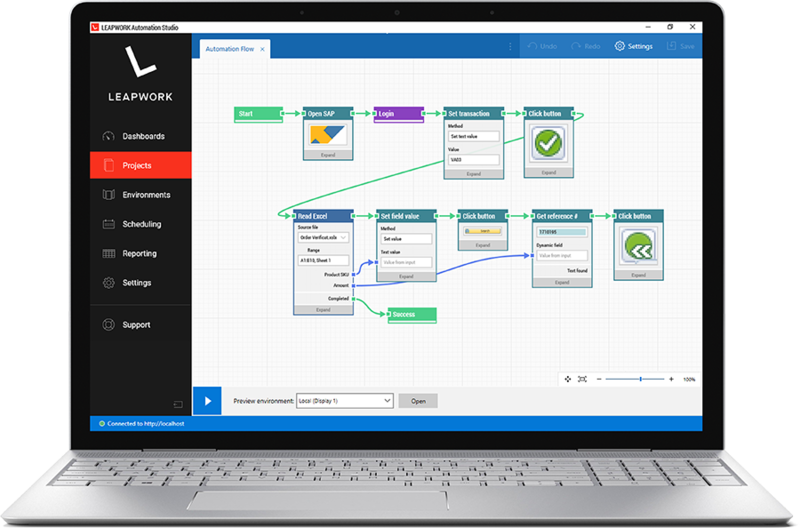 Build automation flows from day one with LEAPWORK's visual automation tool. With LEAPWORK, anyone can design and execute automation as visual flowcharts. The result is test automation that is robust and reliable. 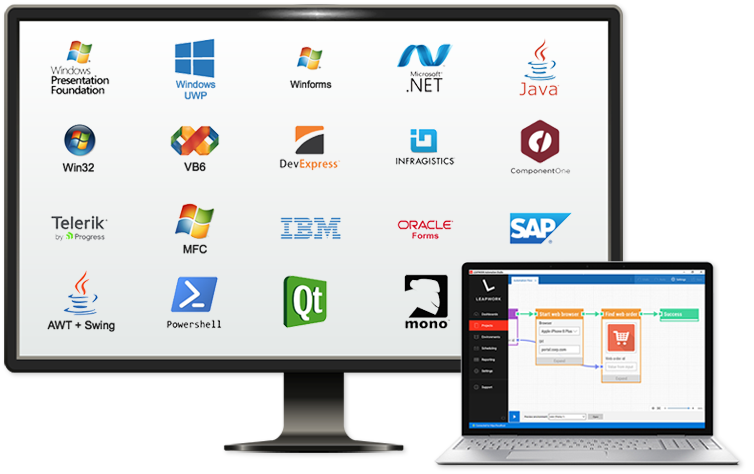 Automate any application thanks to native support of desktop technologies combined with Selenium-based web automation. 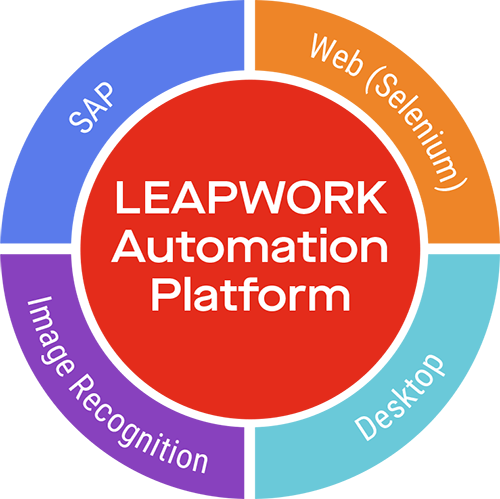 As an automation tool, the LEAPWORK Automation Platform relies on four major automation technologies, each solving specific types of automation challenges. The capabilities can be used both separately and combined as needed.